I’ve always loved the craftsmanship of Timbuk2 bags. But I’m not a messenger bag kinda gal and that’s what these folks have built their reputation on. For sure, they have some other great bags (like this Harriet Shoulder Bag I reviewed), but as a go-to bag for travel or daily use, I haven’t been as captured as I am now with one of their new releases–the Timbuk2 FEMME Hobo bag. The bottom is reinforced with leather so it’s not going to wear out over time if, like me, you set it down on the floor often. This bag is deep. 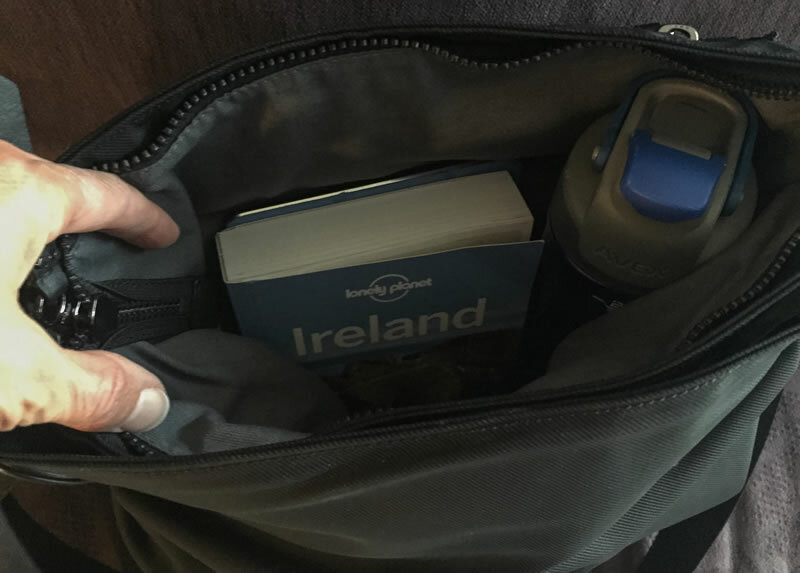 That’s great when you’ve got lots of stuff to carry such as the items I typically have with me when I travel: a guide book, water bottle, camera, iPhone, notepad, light jacket. These can all easily fit in the bag. There’s plenty of room for an iPad or Kindle, too! I’ve even stuffed it with a change of clothes including a pair of jeans, t-shirt and jacket. Timbuk2 has a lifetime warranty on workmanship and materials on all of their products. So if you ever come across a defect or issue related to its manufacturing, they’ll repair it. When I bring this to Ireland and Scotland next month I’ll know for sure, but this may just be my new travel bag. Disclosure: Timbuk2 provided this bag for me to review. Regardless, everything I have said in the post reflects my honest opinions. I always appreciate transparency where product recommendations are concerned. If you are rewarded financially or in some other way for making this recommendation, please disclose that to us as then we’ll be better able to make a prudent decision. Thanks. Julie – I am not compensated for writing reviews. As noted at the end of this post, Timbuk2 did provide this bag to me for review. 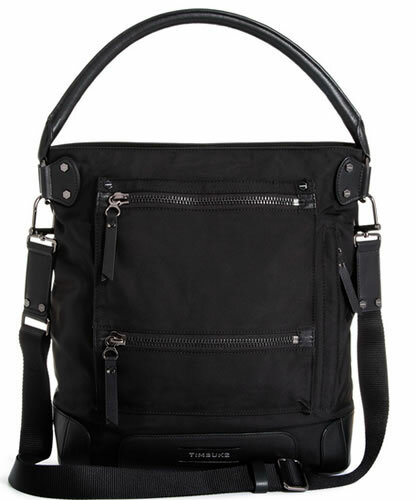 I have been looking at this bag and having trouble finding reviews. I did purchase the utility tote and I LOVED it but in addition to the size a rivet popped off. I was very bummed because I had been a fan of the Timbuk 2 quality. I just can’t keep my eye off this line…so, I am debating giving it another go and with that in mind I was hoping you cold tell me if the smaller handle will fit over your shoulder. Jenna – the small handle definitely fits over my shoulder. I haven’t had the bag for a super long time but I feel like the quality is definitely worth the price. I’ve been able to carry a lot of heavy stuff in it and it’s held up well. I will say that it is a bit heavy but it’s because the materials are so heavy duty. Enjoy!